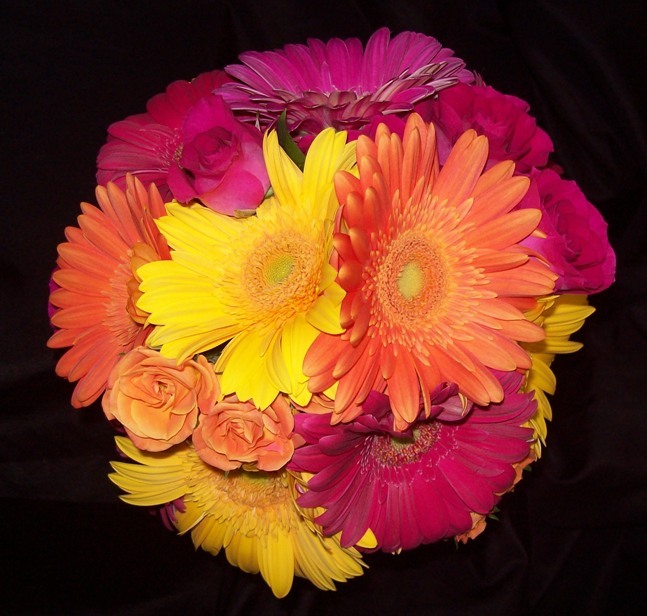 In this bridal bouquet we filled the voids left between the large round silhouette of the gerbera daisies with bright spra roses in orange and hot pink. 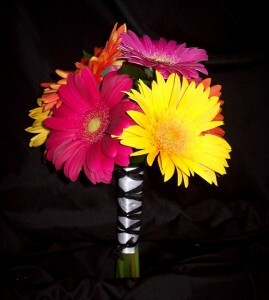 In a smaller size the bridesmaid’s bouquets were comprised of only gerbera daisies. 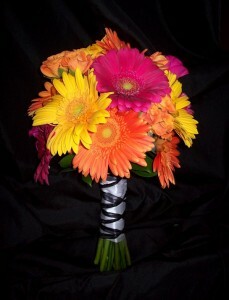 The stem wrap echoed the wedding party’s attire of black and white.